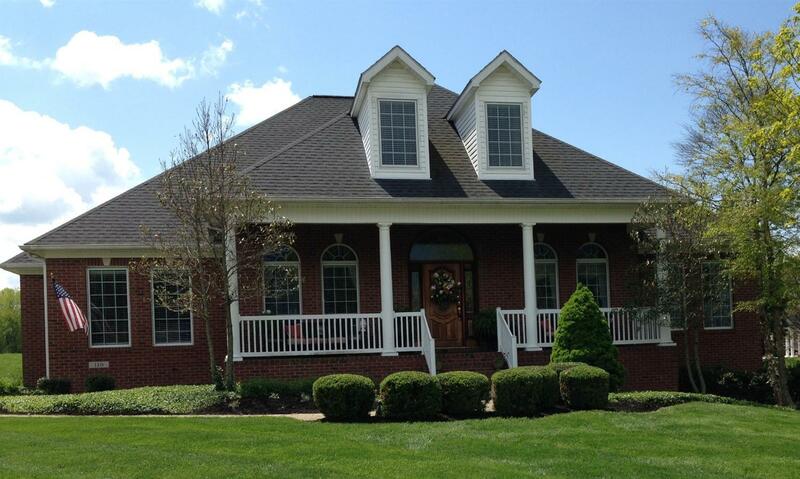 Beautiful home in Two Creeks gated community. Four plus bedroom and four full baths. The large master bedroom with ensuite bath and huge walk in closet is located on the first floor, with access to deck overlooking peaceful farmland. Two guest bedrooms, and full bath also on the main floor. When you enter the foyer your eye leads you through the great room with fireplace to lovely deck with view of farmland. Formal dining room plus eat in kitchen, laundry room is located on main floor as is the two car garage. Two new HVAC units 2017. Second floor bedroom and bath is very large and currently used for craft room but could be office or other, Lots of floored storage in the eves. Expansive family room in basement with full bath, access to patio, lots of storage and large workroom with exterior double doors.